Are you trying to get your family to become more active? Or maybe you are concerned that your children have been gaining a little too much weight? 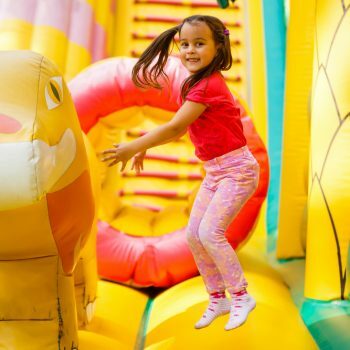 If you are looking for ways to motivate your kids off the couch, a great option is to spend a day engaged in fun physical activity, such as chasing each other in a spirited game of laser tag or giggling while bouncing at the trampoline park. It’s easy to spend weekends at home, relaxing after a long hard week at work. However, many people fall into the trap of having the parents catch up with housework while the kids spend their days watching television or playing video games. An excellent way to spend some family bonding time while also encouraging your children to become more physically fit is to visit the Zero Gravity trampoline park complex and obstacle course in MN. The best way to nudge your kids into a healthier lifestyle is by making subtle changes and offering fun ways to lose weight. Serve your loved ones more nutritious meals and snacks, and incorporate exercise into your daily lives, such as a nightly after-dinner walk. When you may have more time, and especially on the weekends and during school breaks, make fitness a fun family outing. A great way to get in your cardio is by bringing your kids to a trampoline park, where they will have space and equipment to bounce to their hearts’ delight. Make a contest out of seeing who can propel themselves the highest, or whether each family member can get to 100 jumps without getting tired. Besides being together as a family, engaging in this kind of physical activity at a trampoline park offers your kids fun ways to lose weight, without them even realizing it. Any plan for getting your kids in better shape should involve not only cardio but strength training as well. Strong children have less trouble completing everyday tasks and are better able to fight illness. A great way to incorporate this training into regular living is a family getaway to an obstacle course. Making it across the course while hanging, swinging, balancing and climbing will give you muscle power in a super fun way. Another way your kids can build up some strength is by scrambling crosswise on a climbing wall. You will soon make it into a regular family activity, seeing how fast you can improve your individual times. 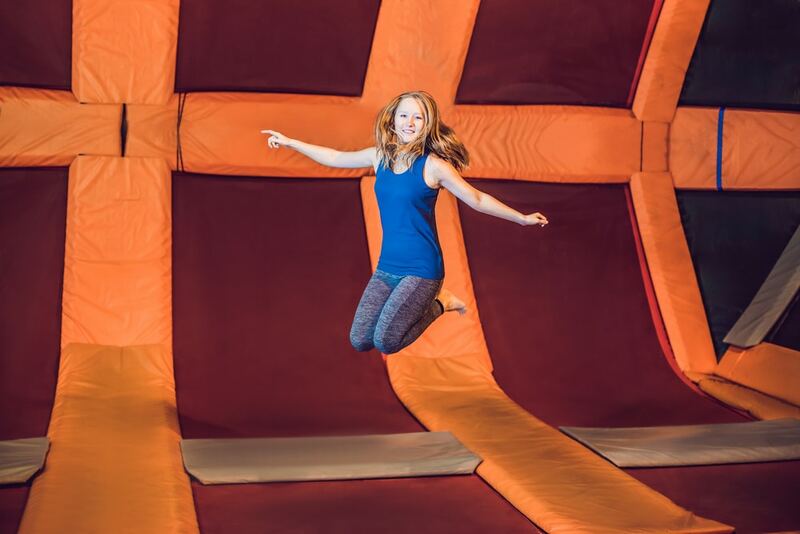 The traverse-style wall at Zero Gravity trampoline park uses your muscles to hold up your body weight while you reach for grip after grip with your arms and legs. And if you should happen to fall? It is into a pit filled with soft foam pieces and only adds to the fun. If your son or daughter can’t stop playing video games, and you are concerned about him or her being a couch potato, you should get them up off the sofa to become a real-life player. Skip heading to yet another movie, and instead take the family to go play an exciting game of laser tag. This safe activity is great for challenging both the mind and the body and can be enjoyed by all ages. And if you’re feeling super competitive? You may want to visit the dodgeball courts so you can teach your kids this beloved game from your childhood. There is even one option for younger players and another for those desiring a challenge. If you are concerned that your children are not as healthy as they could be, now is the time to act. What better way is there to get into shape than by having a blast? Stop searching for rock climbing near me as you have found it. Gather your family together and head to Zero Gravity trampoline park where you will have the chance to bounce, swing, chase, and your way into better fitness.